The terms of the deal have not been disclosed, and in fact the deal has not been publicly announced, either. Instead it was announced in an internal email which then leaked to the press. 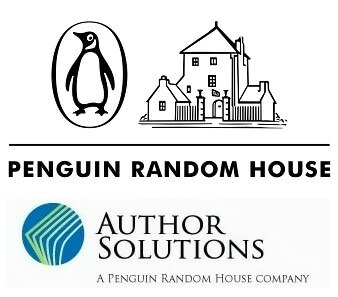 In the email, PRH CEO Markus Dohle wrote: "We thank the entire Author Solutions team for their hard work and dedication during their time as part of Penguin Random House, and we wish them all the best and much success under the new ownership. With this sale, we reaffirm our focus on consumer book publishing through our 250 imprints worldwide, and our commitment to connecting our authors and their works to readers everywhere." Penguin bought Author Solutions (ASI) in the summer of 2012 from Bertram Capital, and paid around $116 million for the company. This was about three months before Random House and Penguin announced plans to merge, and long before that merger became a reality. Following the sale, Penguin/PRH proceeded to integrate Author Solutions with several of its divisions, including launching vanity press operations in Spain and India, as well as forging a partnership between ASI and a for-profit university owned by PRH parent company Bertelsmann. I have no info at this time on whether the deals will remain in place, but it is likely that they will continue. ASI also has similar deals with other publishers, as well as Barnes & Noble, Lulu, and other companies. Styling itself a self-pub service, ASI has a colorful reputation. It gets most of its revenues from selling services to authors, and has been repeatedly accused of using high-pressure sales tactics to sell worthless marketing services. This has lead to several class action lawsuits, all of which have (so far) been either settled or dismissed. And not only has ASI been the subject of much bad publicity over the past few years, it's also doing less business than in past years. Writers Beware pointed out that a report by Bowker showed a marked drop in ISBN usage in 2014 across all AS imprints, suggesting that ASI was processing fewer books than before (we do not yet have data from 2015). ASI also lost deals with The Authors Guild and with Harlequin, which closed its ASI front company in early 2015. That decline could explain the sale, although it is too early to say for sure. Speaking of which, the buyer is not quietly known as a past investor in other parts of the book industry. Najafi Companies has in the past bought other Bertelsmann assets, including the book club operator Direct Brands which it bought in 2008 and later sold in 2013. Najafi has not yet released a statement on the deal, or its plans for ASI.